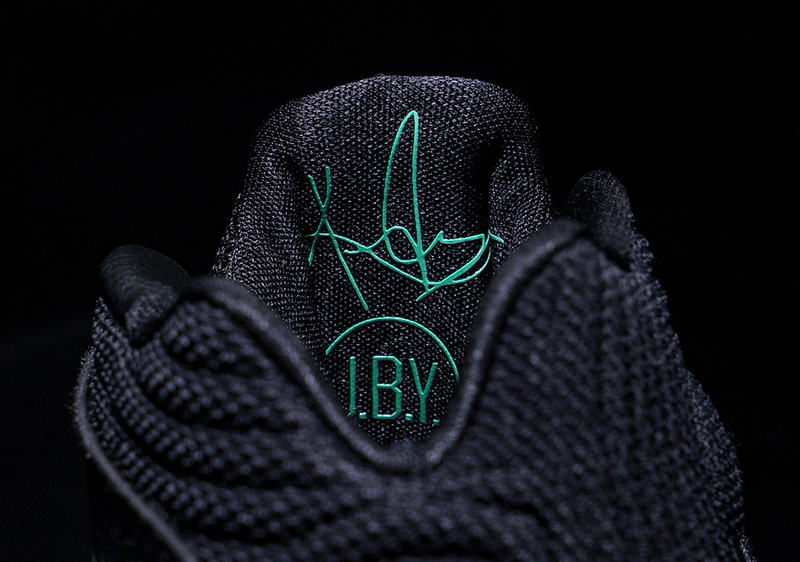 Kyrie Irving just missed out on the Eastern Conference’s All-Star starting lineup after a late surge by hometown hero Kyle Lowry prevented no.2 from taking his talents north of the border. 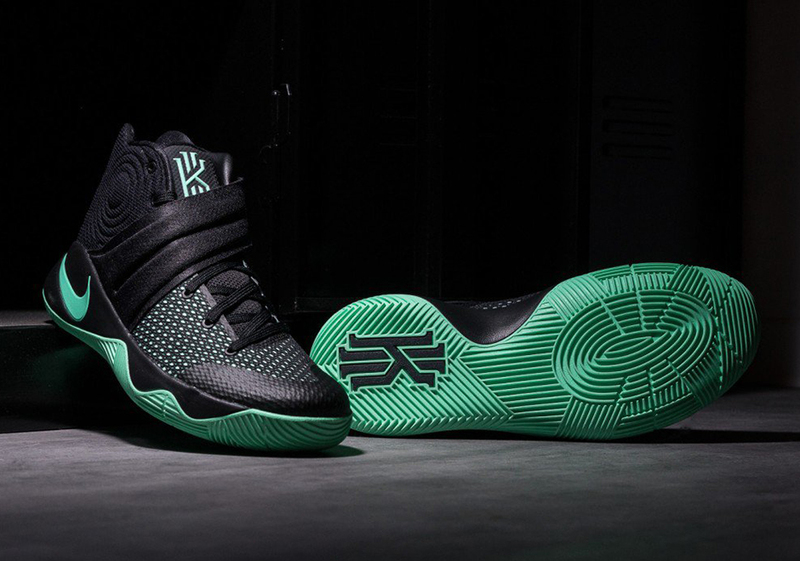 And while we’ll miss out on any All-Star themed Kyrie 2 in person, plenty of NBA fans know if it weren’t for Irving missing 20+ games to start the season, he’d probably be there showcasing his crazy handle and unique finishing ability. 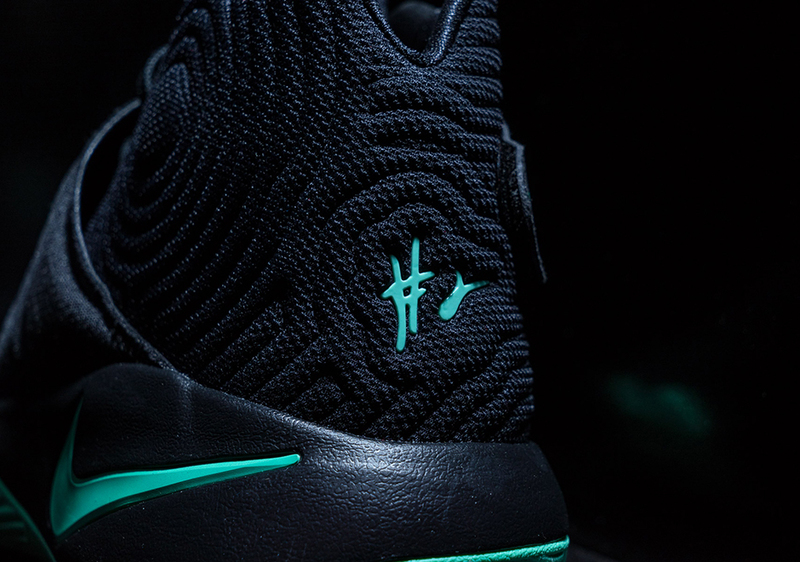 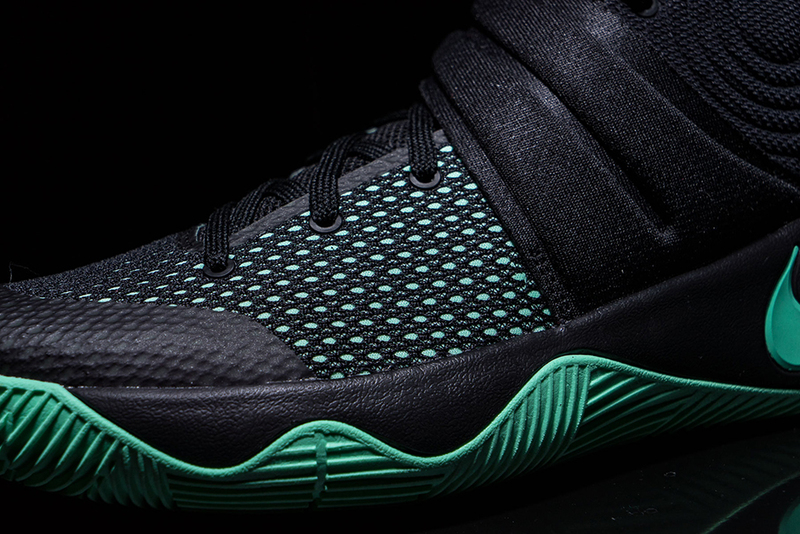 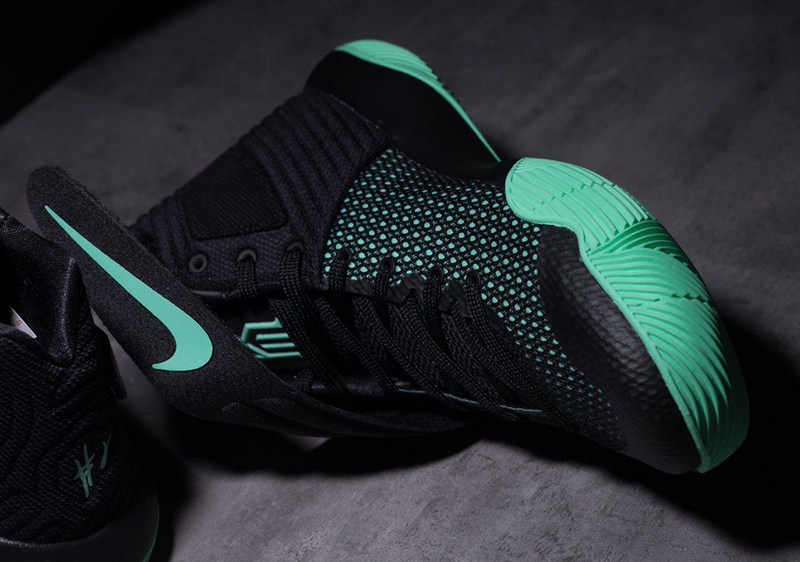 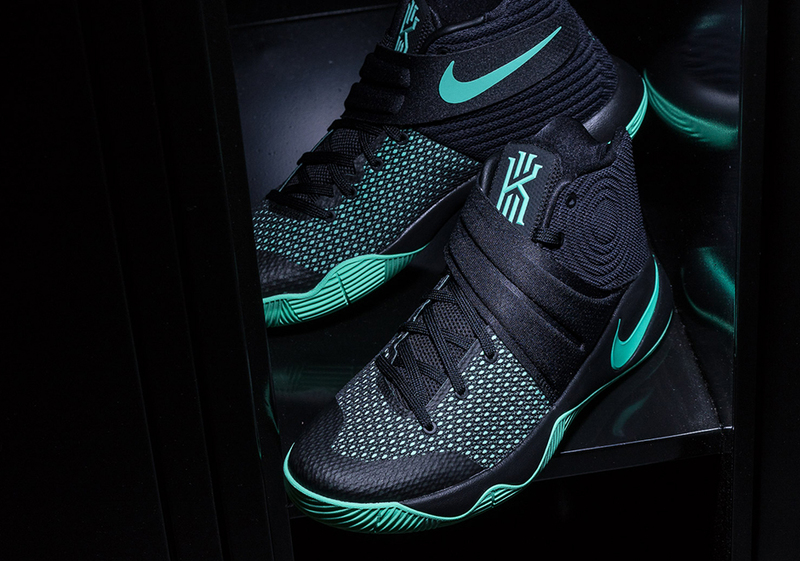 February will also bring the new Nike Kyrie 2 “Green Glow”, a pair that brings back that mesmerizing minty shade of green throughout the black based pair. 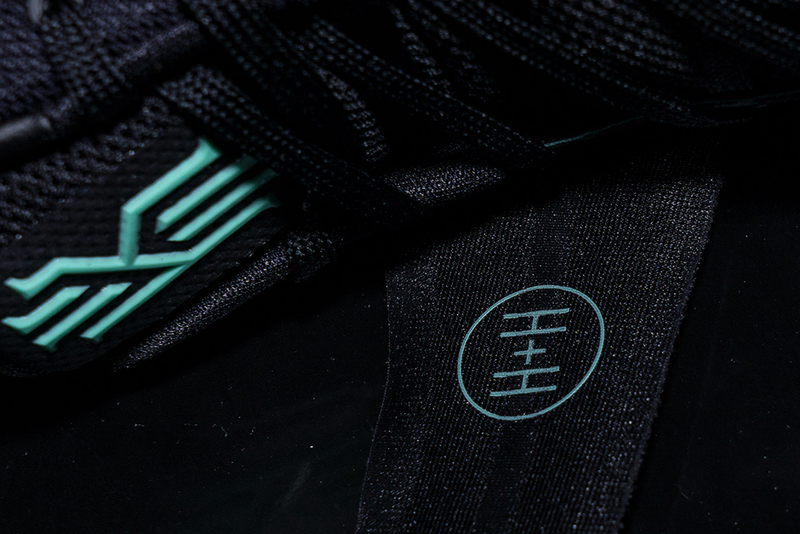 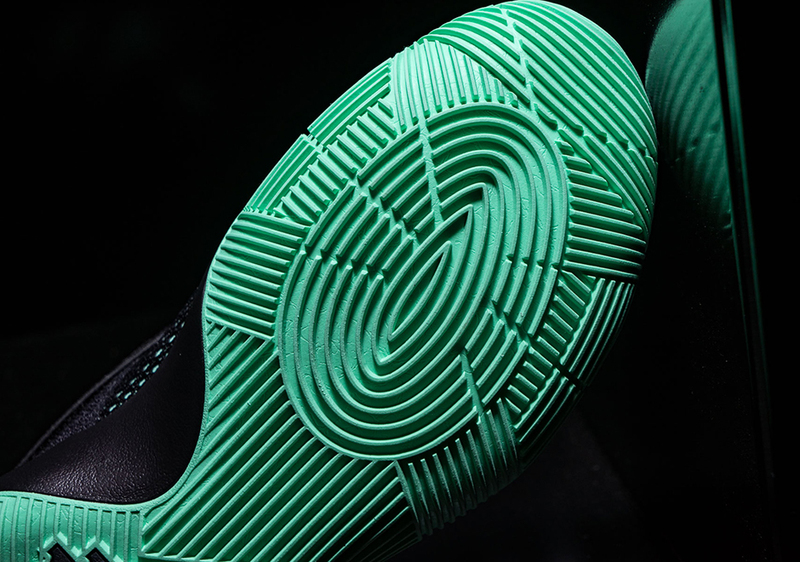 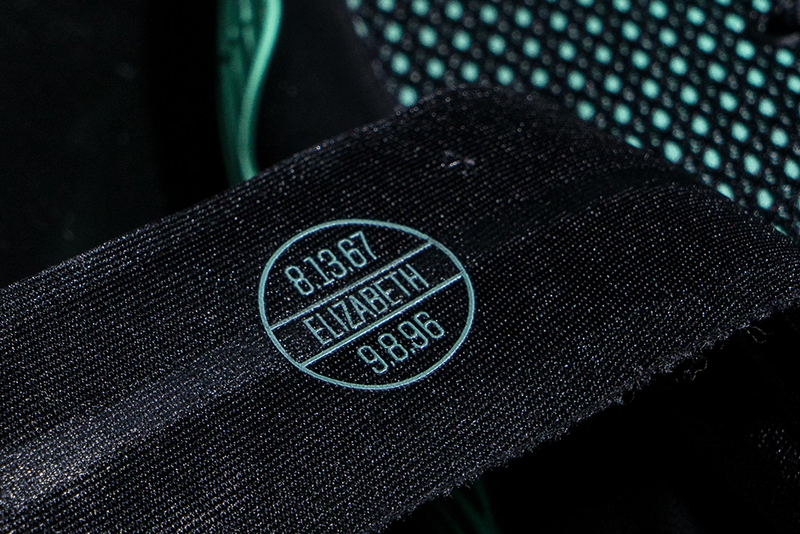 A unique traction system brought to you by designer Leo Chang is highlighted by the shade while an homage to Kyrie’s late mother is featured on the inside of the forefoot strap. 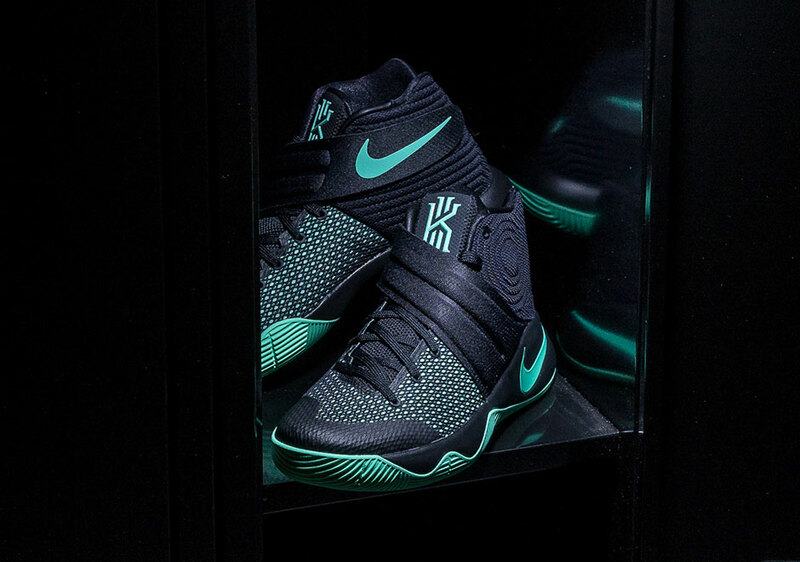 Be sure to check out a full look at this upcoming Nike Kyrie 2 colorway below and grab your pair a few weekends from now on 02/17 for $125.